Although borne in the cauldron of surgery, Urology is perhaps the most diverse of the surgical specialties. The principle subspecialty axes of urologic oncology, male fertility & potency, continence and neurourology, and calculus disease are quite distinct and provide a heterogeneous launching pad for a wide range of research, investigation, and discovery. The medical or non-surgical components of urology span from endocrinology through to the extensive quality of life and psychological manifestations of urologic disorders that underpin the specialty. Finally pediatric urology is its own microcosm that cross-cuts all of these features that characterize urology. This landscape provides a rich background for an abundance of transdisciplinary research activity within the University of Toronto Division of Urology and its associated teaching hospitals and research institutes. Residents and post-residency fellows, undergraduate and graduate students, medical students, and post-doctoral research fellows all participate in various aspects of scholarly investigative studies ranging from bioethics, public health, and population research, to molecular biology, genetics and epigenetics, and developmental biology. Residents in particular complete several research studies during the 5-year clinical training program. Often, 1-2 residents each year elect to enter the University’s prestigious Surgeon Scientist Training Program. This world renowned training opportunity virtually assures a trajectory to an academic urologic career with trainees completing a 2-year Masters degree, and occasionally a PhD. In addition to the global reach of Urology’s research activities and collaborations, the local highlight in Toronto is Robson Research Day. 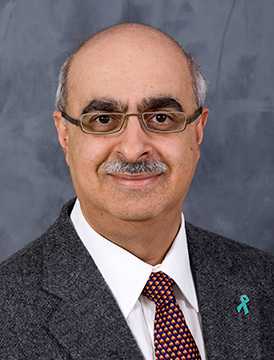 Named for the University’s founding Chair of Urology and the author of the landmark publication on radical nephrectomy for the management of renal cell carcinoma, this annual event highlights the output and impact of an enormous research engine driving urologic discovery at the university.